Looking for deeper meaning in the cards? Learn how to combine the little-known Lenormand deck with the tarot for richer, more personal readings. 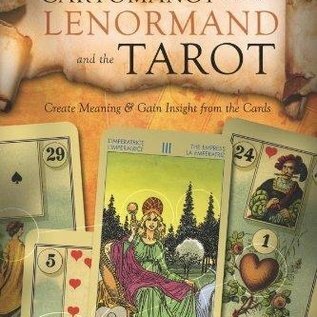 An expert in symbolic language, author Patrick Dunn describes how the symbolism of the Lenormand, so accessible and simple, can shine a clear light on the tarot, while the cosmology and philosophy of the tarot can lend depth and meaning to the Lenormand. 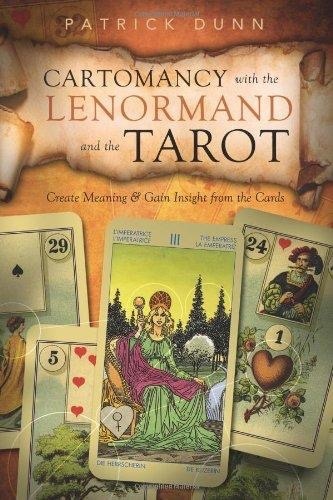 Focusing on experimentation and instinct, Cartomancy with the Lenormand and the Tarot shows how to create relationships with these important divinatory systems. With personal stories, applied theory, and how-to instructions, you will discover how the symbols of the decks interact and learn how to read intuitively. Working with the Lenormand and the tarot, you can collaborate with the Universal Mind and enhance your meditative and magical work for life-changing results.